I was delighted recently to receive a request from Dennis Wu Ming Yiu for permission to use one of my photos from BBC Proms - summer in the city. Dennis is a producer and presenter on Radio 4, the Fine Arts and Music Channel of Radio Television Hong Kong, and one of many people working in the media who are regular readers On An Overgrown Path. He wanted to use my image in Fine Music, the Chinese language equivalent of the Gramophone. You can see the results illustrating this article, and read the magazine online and listen to Radio 4, including some fine classical music, via this link. 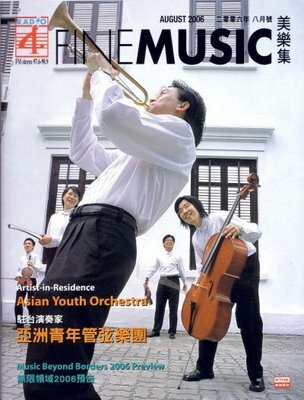 One of RTHK's projects is called Music beyond borders, and I was particularly pleased to see an image from On An Overgrown Path appearing in Fine Music as I had worked in Hong Kong on the promotion of classical music in the 1980s. Since then music has truly travelled beyond borders as the former British colony is now the Hong Kong Special Administrative Region of the People's Republic of China. 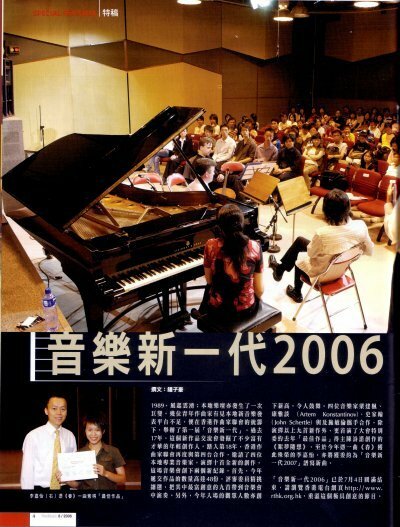 Fine Music reports on a very healthy classical music scene in Hong Kong. 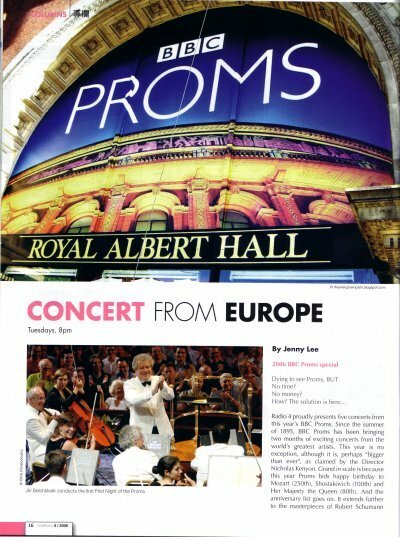 Among the August highlights are three concerts by the Asian Youth Orchestra including the Hong Kong premiere of Howard Hanson's Symphony No 2, the Romantic, a performance of Samuel Barber's heavenly Violin Concerto with the 21 year old Stefan Jackiw as soloist, and a Mozart and Mahler programme conducted by Okko Kamu. All these concerts are broadcast on radio, TV and the internet. Music beyond borders will be the theme of On An Overgrown Path for the next week. Two years ago today the first tentative article was uploaded here. Since then On An Overgrown Path has gathered an awful lot of readers in Hong Kong and other places around the world. And an awful lot of words have been uploaded; this is post number 634, and that means 317,000 words, or the equivalent of more than two decent length books, written in two years, plus more than 2000 images! To celebrate the second birthday I am running a retrospective week featuring some personal favourites from the blog’s archives, as well as any breaking news. Thank you for your support, and I hope you enjoy my short season looking back at two years of music beyond borders.